Was the Masked Belle Poitrine the Basis of Sailor Moon? 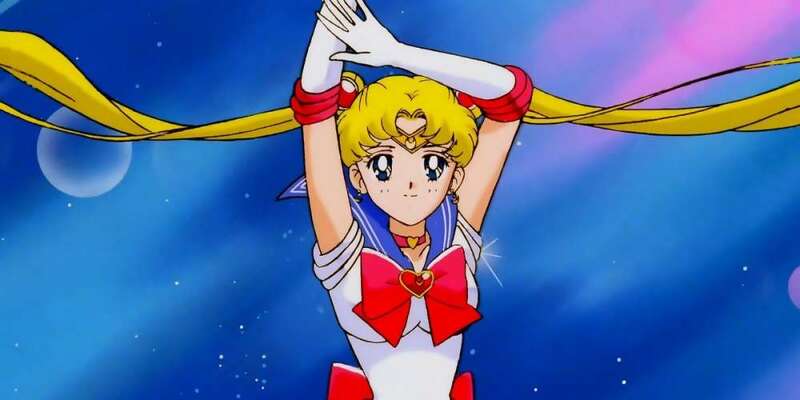 Sailor Moon is one of our favorite anime. (This shouldn’t be surprising; the show has a large LGBTQ fanbase.) But as groundbreaking as it was, the show didn’t come out of a vacuum — nor was it even the first “magical girl” program. 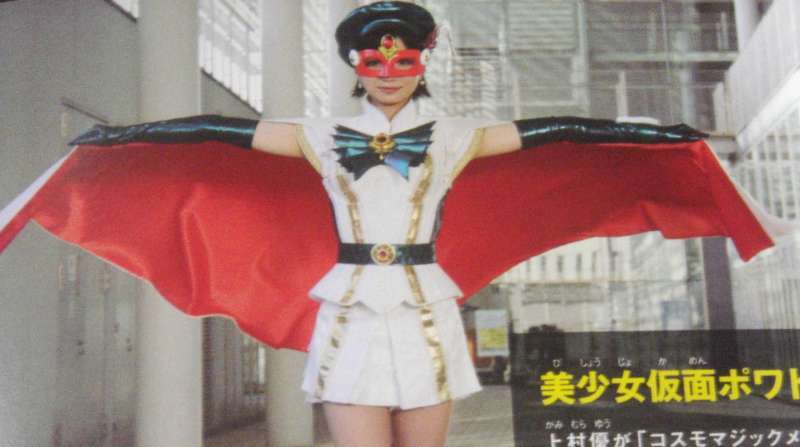 But one die-hard fan discovered a rare show, The Masked Belle Poitrine, that may have contributed a lot to the Sailor Moon mythos. According to the Sailor Moon fansite, Tuxedo Unmasked, the show The Masked Belle Poitrine (美少女仮面ポワトリン, or Bishoujo Kamen Powatorin; the show was also known by its French-language title, La Belle Fille Masquée Poitrine) only aired for a year, but provided much of the structure for Sailor Moon. The show only ran in 1990, from Jan. 7 to Dec. 30; technically, it was an installment in the long-running anthology series Toei Fushigi Comedy Series. But unlike anthologies like Black Mirror where each episode told a different story, Toei Fushigi was more similar to the True Detective model, where each season was its own story. The show follows the titular Masked Belle Poitrine as she becomes a superhero who protects her neighborhood. Like Sailor Moon, she transforms with a phrase — “Cosmo Magic, Metamorphose!” — and fights a monster-of-the-week, controlled by Diable, the dark emperor who wants to control Japan and then, the universe. 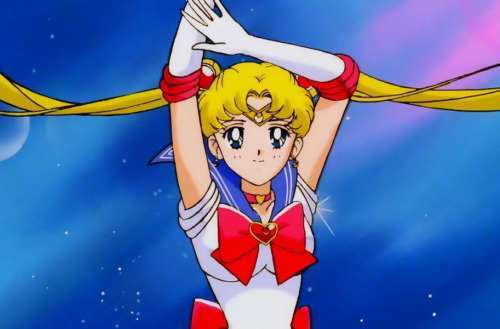 There are a number of similarities between Sailor Moon and The Masked Belle Poitrine, though many of these similarities are just due to the genre. Both characters have similar catchphrases. There are also similar magical items: A music box that Poitrine wears on her outfit’s bow like a brooch transforms her into the hero — just like Sailor Moon’s compact. And speaking of that compact, in the last third of the series, Poitrine even got her own transformation compact. Poitrine’s main weapon was a stick — just like Sailor Moon’s “Moon Stick.” She also wore a mask, just like in Sailor V’s early appearances in the first season of Sailor Moon. Of course, Sailor Moon isn’t a ripoff of The Masked Belle Poitrine. And Sailor Moon creator Naoko Takeuchi even said Poitrine was an influence, just as Sailor Moon has gone on to influence many other shows. But it’s always interesting how someone can be influenced by something, and then eclipse it in every way. Creativity is about synthesizing influences and adding your own ideas, and that’s precisely what Sailor Moon did and did very, very well. Think of finding out about Poitrine‘s influence as that great moment when you finally hear the original track your favorite song sampled. Had you ever heard of The Masked Belle Poitrine?